does it haave option of copying n pasting text likes many nokia phone have? Please any one tell me about Nokia Asha 311 minimize option because mid button not showing here. this nokia asha 311 support 3d hd games??? 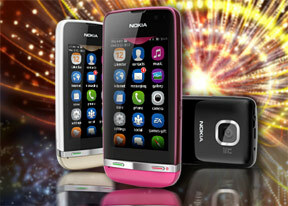 I am using Nokia Asha 311 from 2 weeks.. I am fully satisfied with this phone. Awesome touch screen, fast internet experience, in built whatsapp, facebook, twitter, orkut etc. Over all, good phone for those who want to start using touch screen or touch screen phone..
being using if about 1 month so far so good. For those having hangs or problems i think the best is upgrade your firmware and nokia browser? The built-in dictionary of Asha 311 is in Chinese. How can I change it to English? Bhupendra, 18 Sep 2012Nokia asha 311 me wifi conectivity haiWifi Hai.. enjoy!! dis ph0ne are awes0me... d internet r fast,like my superhero the flash,im very satiesfied..tnx nokia.